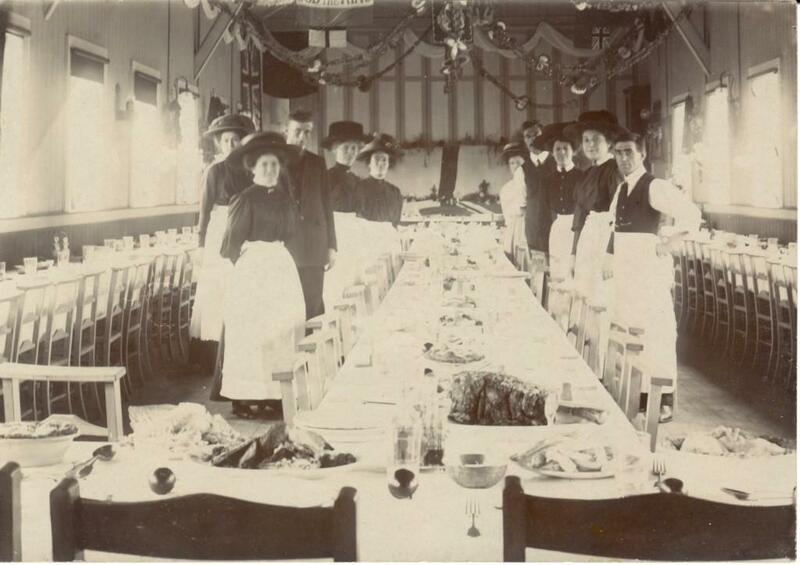 Over 100 years ago, on October 18th 1909, Buriton's original Village Hall was opened for the first time - and the building, on the same site as today's hall, became a social hub for the village for the rest of the century. As Percy Legg, a schoolboy at the time, recalled later in life: "The building was erected and paid for by the then Village Squire, Mr Lothian Bonham Carter... who realised that there were many young men working hard on farms and limeworks in the area with nothing much to do after work was done for the day." "After much discussion it was decided that a wooden hut should be built in the centre of the village and a Norwegian firm was called in to start the work. Wood was brought in to Buriton by rail, unloaded at the sidings up Kiln Lane and hauled to the chosen site near the village school on the Squire's farm wagons. All this action caused quite a stir in the village and was much enjoyed by the lads." Initially the building was a social club for men, the Men's Institute, with a reading room, billiards table, rifle range and other recreational pursuits for long winter evenings. The men were too busy working during the summer! The Buriton Women's Institute held its first ever meeting in the hall in December 1921 and met there for a few years before Mrs Seward of Weston Farm paid for the neighbouring 'Church Hall' (as it became known in later years) to be built for the WI. When Lothian Bonham Carter died in 1927 the original hall was left to the Parish Council so that the social club could continue - and £50 was also bequeathed so that it could be put in good order! The Parish Council leased the premises to the Buriton Social Club for many years and various extensions and improvements were made. The Club gained the proud reputation of having the cheapest beer in the village and became home to traditional village events such as the annual flower show. But by 1990 much of the wooden hall was in poor condition and the Social Club closed in October 1993. A new management committee was formed and in less than four years almost £250,000 had been raised and a completely new hall built. It was fitting that the first village function to be held in the new hall, in August 1997, was the flower show.